James Cotter Tharin, PhD, age 87, of Holland, Michigan passed peacefully on August 9, 2018 in his home on South Shore Drive. He was preceded in death by his father Dickson Hamilton Tharin, Jr. and his mother Sheila Cecilia (King) Tharin and his brother Dickson Hamilton Tharin III. Cotter is survived by his loving wife of 63 years, Joanne Febel Tharin; his daughter, Catherine Tharin and Monty March of New York City; his son, James Cotter Tharin, Jr. and his wife Kim of Chicago; five grandchildren, Cecilia and Beatrice March; Thora, Jackson and Charlotte Tharin. Cotter was born March 22, 1931 to Dickson and Sheila King Tharin in West Palm Beach, FL. Cotter attended Saint Ann Catholic School in West Palm Beach, FL through 8th grade and graduated from Palm Beach High School. He earned his Bachelor of Science degree from St. Joseph’s College in Rensselaer, IN in 1953 then served as a Staff Sergeant in the Army at Fort Jackson, SC from 1953 through 1955. 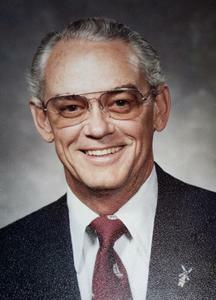 After his service, Cotter earned both a Master of Science Degree and a PhD in Geology in 1958 from the University of Illinois. After graduation, Cotter taught at the University of Illinois for one year while also employed by the United States Geological Survey from 1958-1961 mapping glaciers in Calgary, Alberta, Canada before taking a job in New Orleans working for Standard of California searching for oil in the Gulf of Mexico. In New Orleans Cotter earned the Kendall Cram Award as the outstanding Jaycee of the year. But teaching was Cotter’s passion and so he accepted an associate professorship at Wesleyan University in Middletown, CT from 1963-1966. In 1967, Hope College in Holland, MI recruited Cotter to inaugurate the nascent Geology Department. Dr. Tharin became a full professor at Hope in 1974 and remained Chairman of the Geology Department at Hope until his retirement in 1996. Under Dr. Tharin’s leadership the Geology Department at Hope thrived. Cotter taught courses that ranged from sedimentology to limnology and everything in between. At Hope, Dr. Tharin pioneered the budding discipline of environmental geology so popular today. Cotter, known affectionately by his students as “Doc” influenced thousands in his years at Hope. He ushered numerous geological careers and was widely known and appreciated for his energetic lectures. While at Hope, Cotter traveled the globe with his students, lecturing on all topics geological in far flung places like Greece, the Virgin Islands, the Keys, Jamaica, Colorado, Utah and Idaho. The Geology Department field trips were numerous – daresay there isn’t an outcrop in America that Cotter doesn’t know intimately or felt the swing of Cotter’s hammer. The lectures weren’t restricted to Hope Students. If you belonged to a club in the Holland area, and Cotter was an active member of too many to recall, chances are you heard Cotter speak. His topics included Continental Drift, Energy and the Environment, the eruption of Mt. Saint Helens and the lost civilization of Atlantis. In addition, Cotter conducted raft trips for the Holland community to the white waters of the Colorado River, the Upper Colorado River and the middle fork of the Salmon River, giving lectures along the way and discussing the geology of each of those regions during the raft trips. Somehow, Cotter found time to be actively involved in the Holland Community as well. Cotter was a three term City Council member from 1984 – 1996. While on City Council, Cotter’s focus was Strategic Planning, serving, among many other things, as Chair for Holland 2010: Strategic Plan for the City and the Holland Planning Commission. Cotter’s vision helped shape Holland as it is today. Cotter’s energy was boundless. He was an accomplished sailor. Cotter founded the Hope College sailing club. He loved racing sailboats. He was Dock Chairman of the Macatawa Bay Yacht Club for years and raced in numerous Queens Cups and Chicago to Mackinac races. Cotter was passionate about bridge, tennis, opera, scuba diving... His library was extensive and Cotter was knowledgeable on nearly any topic, particularly the sciences. He was as comfortable in hiking boots or foul weather gear as he was in a tuxedo. Cotter and his beloved Joanne, a former teacher at Zeeland High School, retired to Burnt Store Marina, Florida and Holland, Michigan where they remained active and involved, playing team tennis, participating in Monday Club races at the Platinum Point Yacht Club and entering bridge tournaments. Cotter conveyed his passions to his children, grandchildren, nephews and nieces. He was a beacon and will be missed by all that he touched. We only wish he could have passed his joy and vision to more generations. Funeral Services are at 11 a.m. on Wednesday, August 15, 2018 at Dykstra Funeral Home – Mulder Chapel, 188 West 32nd St., Holland, Michigan. Father Charlie Brown will be officiating. Visitation will be from 10 – 11 a.m. prior to the service and a lunch will be served after the service at the funeral home.